Based on a series of interviews with leading experts and residencies in hospitals and surgeries. 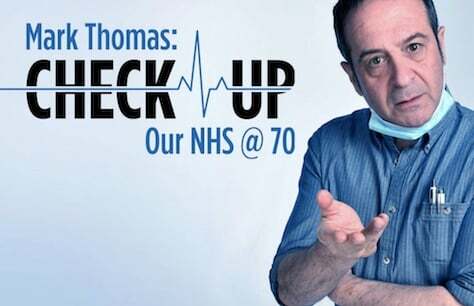 Mark Thomas is 54, the NHS is 70. UK national average life expectancy is 84. If Mark makes it to 84 the NHS will be 100… What will they both look like? Based on a series of interviews with leading experts and residencies in hospitals and surgeries, Mark explores our NHS to see where we are, where we are going and where we should be.